Rugs are the commanding way to revamp your home interior. An elegant rug can spruce up your home that thunderstruck your guests and makes your visitor begrudge with your interior. Rugs are cosy for the feet in winter. But there is a hassle with rugs, how to keep them clean and spotless especially if you are not acquaint with easy cleaning tips. In market you can find several cleaner but it is really difficult to opt for something that is just perfect for your rug. Different kinds of rugs need different type of cleaning. Placing door mat at the entrance is the best way to hygiene you home from mud and dirt that comes with our shoes. Placing doormats spur visitors to clean their feet and stop entrance dust in house. Also abstain all shoes and slippers to enter in your home. Spills need to clean immediately to keep hygiene. The right way is to soak up the spills with a clean cloth. Ensure that you do not rub the spill as it will only sink deeper into the fabric, making it very difficult to remove. You can also use used tooth brush with a cup of dish washing liquid. Vacuuming daily helps you to protect your rugs from dust particle, mites and other dust particles. Ensure that you get a vacuum with strong suction and rotating brushes to prevent the dust from blowing back. Give more attention to spots that receive higher traffic. To know more about Rugs go on our website at www.rugvillage, we are renounced rugs dealer in New Zealand. He loves to share their views on social and their business related topics. There’s a widely debatable topic that is generally broached among rugs lovers and rugs dealers, which is best option- handmade or machine made. Few of us, thing that rugs are just a floor covering approach while for the others; it’s the statement of prestigious, glory and affluence. Rugs are not only accentuating the interior of living area, but they can also become an investment if they include precision in weaving. Therefore handmade rugs are sought-after due to its weaving style. Every piece can never be copied with same design; you get unique design every time that enhances the value of handmade rugs. There are few tips that will aid you to identify handmade rugs, first look the backside of any rugs, if the numbers of knots are even there is a good probability of it being a machine made rugs. Human hands make the knotting a bit uneven while machines are able to repeat the same perfect weaving motion every time. Another way to identifying the rugs is, examine the fringes around the edge. You just need to find if fringe is ties or woven into the rugs it means the rug is handmade but if it is sewn it clearly indications of machine made rugs. If you are contemplating to improve the interior of your home, but can’t spare time to go market to buy rugs, go online and get wide range of rugs at the affordable price. You can also get good offer on the purchase if you are seeking an online rugs provider in New Zealand, do not hassle. With the comfort of home you can get a wide range of rugs. Every rug that carries the tag of Rug Village is best in quality. Our handmade Modern and Traditional Rugs will add comfort to your living area with their natural beauty. These rugs are more durable and are easy to clean with a vacuum attachment or a damp cloth. From the ancient time rugs are symbol of affluence, vanity and elegance. A beautiful rug can spruce up the interior of your home decor that makes begrudge visitor and guest. Nowadays several affluent societies buy numerous kinds of rugs in accordance to their room interior. These rugs are 100% hand crafted that made of wool and silk in production. These materials are more durable than artificial materials, so your area rug lasts longer in your home. It will take more time in crafting due to its intricate workmanship. Therefore these rugs are more precious and scant. Also most handmade rugs are crafted using age-old methods; this crafting style is often eco-friendly and does not impact the natural resource. This crafting style involves machines (power looms) in production. The materials used in rugs creation are polypropylene fiber, nylon and wool. 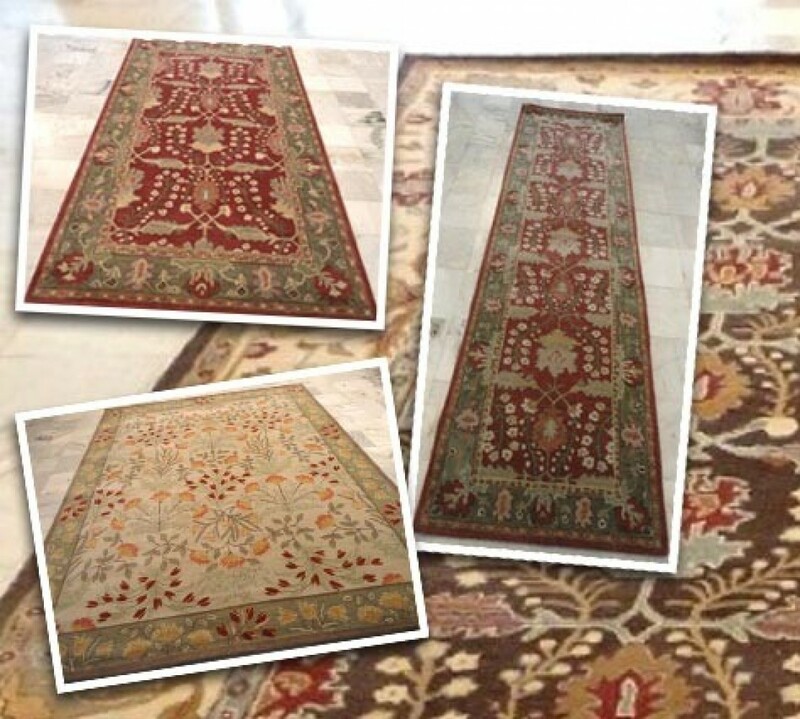 The production of machine rugs is faster as compare to handmade rugs but does not maintain quality; hence these rugs are less costly and are in abundance. If you eager to ornate your home with classic rugs, you can get the one that accentuate your home interior, without hassling yourself with outdoor shopping. With the comfort of your home you can purchase rugs online at affordable price. These entire products you can find it on our site are authentic and high quality. If you are retrospective and enthusiastic about late 60’s and 70’s fashion and you love to decor your home that can bring back these era right into your home. Shaggy Area Floor Rugs are an icon of the late 60’s and 70’s. Nowadays these rugs are back to the trade with strong, popular, smacking of retro, but different, and are very much “today”. The thing that makes them popular is its “shagginess”. The length of the strands varies between one and four inches. It’s not only looking great but also the cosiness it provides to toes is great and feels like that you running on the cloud. Today, these rugs are sought-after among urban youth and all who are fashion conscious. These rugs provide warm and cosiness to your foot in winter. Also these rugs are in budget and don’t burn your pocket. There are wide-range of colour options from retro style lime green, fuchsia, sizzling orange, saffron yellow, and cobalt blue to contemporary style azure. It’s usually made of cotton, but sometimes made from acrylic, rayon and olefin. Chenille is incredibly soft and is commonly utilized in blankets. The original and authentic flokati is made of 100% New Zealand wool. In the ancient times they comes in limited colour such as white, off white or gray but nowadays with the overwhelming demand of rugs it comes in several colours options. In the manufacturing of leather shaggy rugs strips of leather are attached to a sturdy backing to make the rugs durable. These rugs are more costly than cotton or wool, because it involves several materials in crafting such as acrylic and rayon ribbons. From the ancient times rug has been one of the most adopted and sought-after flora cover-up solution. Every culture has their own style and variety of techniques. Nowadays most of these famous styles are adopted and mixed with new trend. With this info graphics Rug Village just want to share information about modern wool rugs some famous crafting styles. Picking the apposite piece of art that compliment your home interior and fit the area where you want to place it- is crucial. It is quite challenging considering the shape, color, style and fabric of the rug, also have an estimation of area that you want to cover. You must consider the requirement that the rug will serve whether it provides a splash of bold color for tiny area or a large space. If you aspire to purchase rugs online but you don’t know what sort of rug will work best with your home interior. The following is meant to be a practical guide to help you discover issues that you may or may not have taken into account when choosing a rug. Area and climatic condition are the foremost points to consider when it comes to choosing a rug. If you are looking for a floor covering solution that adds spaciousness then light color is the best way forward. Whereas if you want to make the space cosier then rugs made of dense pattern and bold color tend to work well. Ancient and traditional rugs are best to do this job due to their ornate design and color pattern. Also go with rug that work well in your neighborhood climate; otherwise it may enhance the interior but not offer the cosiness and comfort that you wish to get from it. Many of us do not believe it, but it is true, the wrong size of rug can ruin the interior. Hence picking up the appropriate size and shape is also an important thing to consider. Rugs mainly comes in three basic variant (small, medium and large) according to the size, but you can customized it if required. Many rugs can be custom made to the size that you require, this is often more pricy and can take more time but the outcome will enhance the interior. There is no doubt that a rug can enhance the home interior and bring a fresh look to home, only if you pick the best one. In terms of color, it is good to pick the one which match your home interior for instance match the color of your walls or your curtains. If you place a rug in a particular area of a room that matches a certain wall or ceiling color it can really set off a room and make your design come together. Add Luxury to Your Home! With the huge range of flooring options available in market, most of us are puzzled when seeking floor cover-up solution. When it comes to rugs it would also be difficult to understand what to choose. Rugs are the finest way to brighten up the dull look of home; it is durable, easy to clean and enchanting floor cover-up solution. Rugs not only add frill to your home inside but also a relaxing floor cover solution, no one is denying that the cosiness and softness of rugs bellow the feet gives us a pleasing sensation of softness and warmth that hard floors alone lack. Most of the people love the cosiness of rugs scattered around homes, believing that without them floors looks bare or incomplete. You can also use this with carpet to add more luxury. With their varied design and colour pattern, these rugs can be placed on bedroom as part of luxury statements if set around beds to keep chills off bare toes. You can also place in kitchen area to give them a classy edge, and to offer a smidgen of underfoot comfort. It has been seemed that it lifts any leaving area and maximise available space. The advantage of zoning with rugs is that it should effectively turn a space into elegant and luxuries zone that is hard to leave. Rugs comes in a wide range of contemporary to traditional touch, you can purchase as per your home interior and budget. If you have no budget issue, choosing Persian rug is best for you. Persian rugs are celebrated for their affluence of colours, material of artistic patterns and intricate designs; and they are cherished as the most valuable possession in many mansions and museums all over the world. Purchasing rugs can prove to be an arduous task if done without planning. But as always, Internet is a saviour because you can find a variety of rugs from different and far-away countries online without experiencing the pain of a tiring hunt. Online stores make it comfy for you to get the piece that you want at a price you can afford. Why pay more than you have to for a new rug? Buying rugs online allows you to take advantage of a niche, where you can filter out the right piece for you at affordable price.